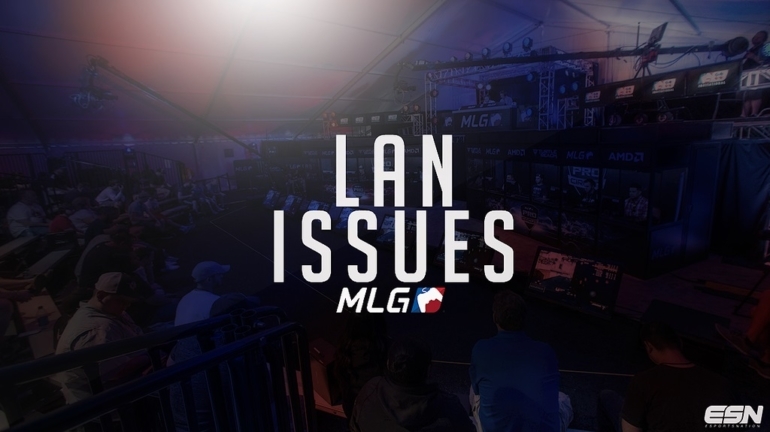 Several prominent issues with LAN play occurred during the AW Open in Columbus. This past weekend, we had the first Call of Duty: Advanced Warfare LAN event in Columbus, Ohio. Since this was the first taste of LAN for most players, there was bound to be some hiccups. Specifically, there were some who experienced multiple respawn glitches and extreme lag spikes. Big named teams like OpTic Nation and Team EnVyUs had many experiences with such things. LAN is mainly used for neutral hosting, which would eliminate any kind of lag spikes, but sometimes it is the game and not the connections. In Call of Duty Ghosts, we had things such as the bomb glitch that occurred way too frequently for fair competition. Unfortunately, there was never a fix for this that completely stopped the glitch from happening. Since Advanced Warfare is still early in its release, a fix for this should be out in the near future, but no words have come from Sledgehammer Games on the matter as of yet. With SHGames supporting eSports, we should expect to see a patch for this before UMG Orlando. The difficult thing about fixing these issues is pinpointing what is causing them in the first place. We have no idea what is actually causing the malfunctions or what they actually are. It will be interesting to see what happens at UMG Orlando. OpTic MBoZe complained about the lag issues and sparked a conversation on Twitter with other pro players. Many responded complaining of the same thing. In Strictly Business’ match against Aware Gaming, Phizzurp encountered an issue with his xbox. He was unable to aim in the entire game he played. The match was delayed so they could get a new xbox ready. Another example of an issue was when Clayster’s xbox froze and he couldn’t play for 15 seconds during the first map against OpTic in the Winner’s Bracket Semi-Finals. Nameless went to Twitter to describe his displeasure with the issues. These issues were only a few of the many that occurred throughout the event. We hope to see them fixed in time for the next tournament.